Our understanding of the eye is better than ever before. At Lentz Eye Care & Associates we leverage the latest available technologies to ensure we are providing the best eye care available. Utilizing state-of-the-art technology, our doctors can obtain faster more accurate diagnoses, with completely non-invasive procedures. Eye care is something we are passionate about, not only because it is our profession, but because preventative eye care is the best way to protect your eyesight. Most patients don’t know that vision loss is generally irreversible. This means that if glaucoma causes you to have tunnel vision before we detect and manage the disease, you will forever have tunnel vision from then on. This highlights the value and importance of preventative eye care. 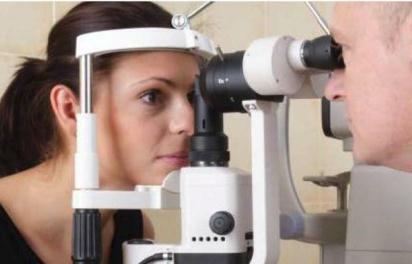 Early detection and treatment of eye diseases reduces vision loss by up to 95%. Here at Lentz Eye Care in Wichita & Newton Kansas we can ascertain the precise status of our patient’s eye health through the use of state-of-the-art testing methods and equipment. These methods are quick, painless and amazingly informative and available at each of our three locations.